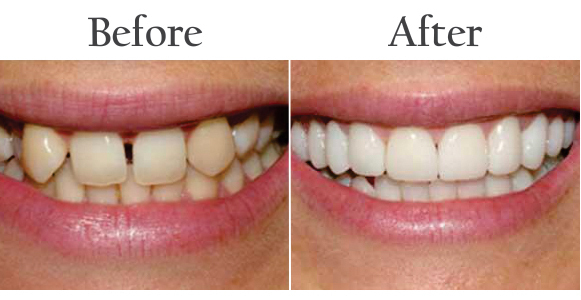 Crown and bridges are used to give your teeth more natural look. Crown can be used to cover either a damaged tooth or an implant. A bridge is used if a patient is missing the entire tooth or few teeth. The space between the missing teeth can lead to gum diseases and bad bites. To avoid this, bridges are used in a patient. Both crown and bridges are fixed prosthetic devices. They can only be installed or removed by an expert dentist unlike dentures which can be removed by patient for cleaning and other purposes. Bridges are ideal for people who are either missing a complete tooth or more than one tooth. They fill the space between missing teeth. Bridges are permanently attached to the natural teeth or implants close to the empty space. Crowns are recommended when a damaged tooth or an implant needs covering up. A cap can also be used for the same purpose. If you are experiencing any kind of pain or uneasiness, it is advisable to consult an expert dentist. Our approach is always patient oriented. We always recommend what's best for you and advice you on all possible options and outcomes. Before creating the right crown or bridge for your teeth, we take your tooth`s impression to create the right size mold. We also consult you on the right material to be used; there are many available options. We can go with porcelain or metal alloys based on your condition and budget. Our goal is to always recommend what's best for you and your dental health.